Hope you are enjoying the steady stream of Paleo Indian Recipes? My friend, Bert over at TheGoutKiller.com has been kind enough to share his ideas on how a Paleo diet can actually help manage Gout if you are smart about it. There is a lot of press out there saying Paleo is bad for gout but a few tips and tricks shared by Bert here can actually help you manage Gout. If you are a gout veteran but new to Paleo, you might be surprised, (or relieved!) to know it’s ok to eat meat again! Very quickly, “paleo” refers to “Paleolithic” and The Paleo Diet is often also called, The Caveman Diet. And what have we always been told about what cavemen ate? That cavemen ate meat. (gasp!) As gout folks, we’ve all been admonished (brainwashed) into believing that meat – especially red meat like beef – is sure to bring on gout. You will be happy to know, nothing could be further from the truth. It is true however, that if you’re inner biochemical terrain is weak due to poor diet and lifestyle choices, red meat and almost any type of serious protein may help trigger a gout attack. But this is important to know: Cavemen did not ONLY eat meat. In fact, I would venture to guess, (and studies are now starting to talk more about this) that in fact, during the Paleolithic Era, there were plenty of plant materials being consumed as nourishing fuel as well. What you didn’t find Paleo Man doing was growing grains and baking bread, or trying to milk cows or goats or oxen or, or….wooly mammoths. Plants and animals…that’s what they ate, just like your grandmother and grandfather used to eat. A more paleo style way of eating is powerful for several reasons. The first and most obvious explanation is: Eating plants and animals is what our bodies are biologically adapted to best make use of. For millions of years, food was food. We were gatherers, and hunters. If you take a commonsense approach to it, and picture yourself out there running around the landscape in prehistoric times, if you couldn’t club a rabbit or a deer, bring it down and start gnawing on it, what did you eat? Plants! Green leaves, roots and tubers, nuts and berries, bark and stems, blossoms and seeds – in some environments, they were plentiful! And tasty! And nutrient dense, full of phytochemicals that the human body needed and made full use of. But by instinct, you did chase down that rabbit or boar or large hooved animal, and you did start gnawing it; all of it – precious internal organs, muscles, brains…..everything. Now Let’s Bring This Back to Gout. It was probably WAY easier to catch some tasty plants than it was some wily beast. So doesn’t it stand to reason that our paleo ancestors ate a lot more plant material than animal material? We should too. But do we forego or avoid the power-packed, nutrient dense protein sources of high quality, well-raised animal products? Absolutely not! But because of our susceptibility to gout, we need to be cautious and careful until we improve the function of our tissues, organs, and body systems. How to Be a Modern Day Gout Free Caveman! In regards to gout, what many people are mistaken about in consuming meat and animal products, and The Paleo Diet in general, is that the dietary purines that metabolize into uric acid, are only one portion of those purines and metabolic processes – and the smaller portion at that. There are “exogenous” purines – the purines that come from the foods we eat, and “endogenous” purines – the purines that come from the natural turnover of our body’s own cells. Purines are part of the cell structure of every cell of every plant, animal, and…human being. Two-thirds of the purines that we process into uric acid come from endogenous sources. Dr. Loren Cordain, thought of as the Father of the Paleo Movement, explains very well the real problem of what could easily be called our modern day gout epidemic. The root cause of gout can be considered part of metabolic syndrome (high blood sugar, high cholesterol, high blood pressure, large waistline) and insulin resistance (type 2 diabetes). Uric acid levels depend on how much uric acid is entering the bloodstream and how much is leaving the bloodstream. How much uric acid enters the bloodstream depends on how much is being produced by the liver, and how much leaves the bloodstream depends on the kidneys. Metabolic syndrome and insulin resistance reduce the kidneys ability to eliminate uric acid. A high glycemic diet (such as a grain-based diet, especially low quality, highly refined carbohydrates as in the Standard American Diet – SAD) cause the liver to produce excess uric acid. Fructose, and particularly high fructose corn syrup (HFCS), enormously exacerbate this condition. The paleo way of approaching your nutrition intake is THE way to successfully overcome gout – the polar opposite of the low quality, high glycemic, Standard American Diet. Avoid the gimmicks and experiments in battling gout – properly prepared, nutrient dense, real whole food, from high quality sources, IS The Ultimate Gout Diet. Bert Middleton is a former, long-time gout struggler (not sufferer, no victims here!) and a certified Nutritional Therapy Consultant. Bert maintains a private nutritional therapy practice and has been helping people through the confusing and painful condition of gout for over 7 years. Online, he is known as The Gout Killer, and together with his wife Sharon, they maintain the health & wellness website and practice, TheGoutKiller.com. Bert lives in Denver, CO, and when not fervently killing gout, he spends as much time on his skis and mountain bike as possible. http://paleodiet4beginners.com/wp-content/uploads/2016/06/plants-and-animals.jpg 300 300 admin http://paleodiet4beginners.com/wp-content/uploads/2017/12/00-Logo-Header-300x138.jpg admin2016-06-09 05:07:342016-06-09 05:07:34Really?! A Paleo Diet Can Help Manage Gout?! 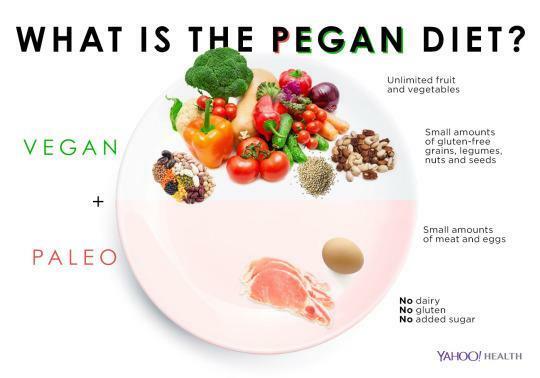 A quick search on Google for A Paleo Diet Menu To Lose Weight will literally yield millions of results and its natural to just go out, get the ingredients, try the food and lifestyle and the just give up after a couple of days after you get fed and sick. How do I know this? I am speaking from experience here. I have fallen off the bandwagon numerous times and kept getting back on it by learning from trial and error. Here are 11 Tips On Using A Paleo Diet Menu To Lose Weight. The Paleo diet has been scientifically proven to be beneficial in a multitude of ways including elimination of disease, reducing inflammation and also weight loss so this is a great lifestyle for you to dg right into and reap the benefits. In today’s article I will share with you tips I picked up from the experts. Two really important sources that I hold close to my heart are Paleo Mag Online which are probably the only print publication serving the Paleo Community. These guys bring it with awesome content and great insights so this is my number one go to place for inspiration and help. Secondly, Chris Kresser is a huge influence in my life. He is recognised as a global leader in Paleo nutrition, he is a NY Times best selling author and is just an awesome guy. He is one of the few influencers in the space that I really look up to. There is a lot of information on the Internet claiming that you don’t need to count calories whilst on the Paleo diet. This is partly true but you do have to pay attention to calories a bit. The good thing about Paleo and why calories isn’t that important is the fact that you will be consuming whole organic foods (if done correctly) so what this means is that it takes more calories to burn these foods so in essence, you eat eat something that is around 400 calories and whole, your yield will be less than 400 calories after you burn it. Now, if you consumed something that is processed (even if it’s Paleo) you may yield more calories as it takes less energy to burn. It makes me sad that whenever people talk about Paleo, all they can recite is what you CAN’T eat! Why don’t we focus on what we can eat?! So rather than making yourself miserable about grumbling about the things you can’t eat, enjoy life and focus on the things you can eat. Remember, weight loss doesn’t happen overnight, it’s a long game here so you gotta be in it for the long run so focus on the things you can do rather than what you can’t. This is a big one for me in all aspects of life. There’s a common misconception that in order to be successful, you need to have loads of willpower. This is actually the opposite. I have come across and dissected many successful individuals and the common consensus is they eliminate the need for willpower. Make less decisions. Take for example Mark Zuckerberg. Notice how he always wears the same style of clothes. He is eliminating the need to make a decision and hence conserve willpower. Steve kamb from nerd fitness lays out all his workout clothes on his bed at night so when he wakes up, he just gets into his workout clothes and is out the door hiring the gym, he is eliminating willpower this way. Stanford university did a recent study linking obesity to the size of plates and utensils available in homes in the United States. The conclusion was the bigger the plates, the higher the prevalence of obesity. Makes sense doesn’t it? If you had a bigger plate, you’d want to fill up the space. Take for example crisps. Say you had a huge bag of Doritos, can you put it down after a few handfuls of crisps? In the above examples, you can simply eliminate the need for willpower by having smaller plates and if you absolutely had to buy crisps (so not Paleo dude), get a small bag. Voila! Minimise the need for willpower to succeed. Alfies tip : Why don’t you do this now? Get rid of all the snacks and crap from your cupboards and replace with good whole foods? Now this is a bit counterintuitive as a lot of people are going to slate me for saying this but the best sort of exercise is as little “exercise” as possible but a hell of a lot of moving. Paleo man (and woman) moved around quite a bit and got all the exercise they needed. Aim to replicate this. I am not saying start moving boulders and climbing trees (although you could do that) but stay active throughout the day for a great calorie burn Taft perfectly supplements your Paleo diet menu to lose weight. Modern day exercise and cardio trigger fight or flight stress hormones which doesn’t aid in calorie burning as your body is now focused on either fight or flight. I hope this makes sense? 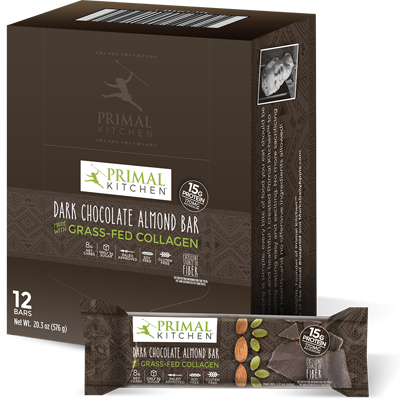 Read Mark Sisson’s Primal Blueprint for more information in this. Exercise is good but there is a point when exercise becomes bad (unless you are a super athlete). Alfie’s tip : aim for around 10,000 steps a day and don’t do intense crazy cardio but focus more on strength training. Also get a standing desk at work. The party pooper that ruins a great run where you enjoyed dropping 10 – 20 pounds in a short space of time whilst all your friends go green with envy. Then suddenly, it all stops! You try more exercise, you try eating less but you can’t seem to skate off any more pounds. A trainer friend of mine asked me to sleep more and get rid of phone and computer displays at least an hour before your bedtime. It worked. I overcame the weight loss plateau and this is one of the pillars of losing weight. So to summarise, you need 8 hours solid sleep, a good fitness routine and a Paleo diet menu to lose weight and you are onto a winner. Keep it simple and stupid. The Paleo guidelines make it so easy to follow and as long as you stick to the major food groups, you will be alright. When I first started, my diet just consisted of broccoli and chicken as I didn’t know any better and slowly after getting my feet wet gradually, I started making the progression to more tastier recipes that were still simple. When I first started on my journey to lose weight, I lost a lot of weight and this was unhealthy. At first I didn’t understand why. I was eating more food than I used to but I was getting thinner very fast. This was due to the fact that when you go on a Paleo diet menu to lose weight, you automatically consume whole and organic foods which are thermogenic. This means that the body has to expend energy to break these foods down. So the calorie yield I was getting was less than before. I can Relate to this as well as carbs have been bastardised by the media and modern society so when I first started on the Paleo diet, I refused to consume any carbs. This causes a whole host of problems as you need energy from carbs for your daily activities especially if you are being more active. With this being said, you need to match how much carbs you consume by your physical activity and any surplus means you put on weight and any deficit is equally bad as this leads to exhaustion and even muscle breakdown. Chris recommends the same thing as Paleo mag here and that is to move frequently throughout the day. Now this is not always possible if you work in an office at a desk. I recommend getting a standing desk and take regular walks. I walk to meetings whenever I can rather than drive everywhere. Alfie’s Tip : If all else fails, just run and down the stairs in your home, take your kids out for a walk. Rather than watching a season of House of Cards, get up and do something! It’s hard doing it on your own. I failed a load of times and one of the changes that really helped me was to find a diet buddy, and that is my wife. This helped me make this major lifestyle change when I make the decision that my life meant more than being a fat slob eating crap and being fat. Having a buddy helped me try new Paleo recipes together and even plan workouts and activities. Furthermore, going to a restaurant and ordering gets easier when you do with your buddy as you are both thinking along those lines. Alfie’s tip : if you don’t have a buddy, why not make me your buddy? Using a Paleo diet menu to lose weight is just one of the three pillars to losing weight. The other two are sleep and movement. Your efforts to lose weight will literally collapse of all you have is a diet and the other pillars are not in place. Why do you think all this is linked? Have you wondered that if you are sleep deprived do you find yourself more hungry? Alfie’s Tip : Make no mistake, this is a lifestyle not just a diet. Embrace it, Love it and always look at the positives so that you can set yourself up to win. I hope this article helped you understand how to implement Paleo Diet Menu To Lose Weight. These 11 tips from the experts in the field are goldmine and a great start. Worked for me.